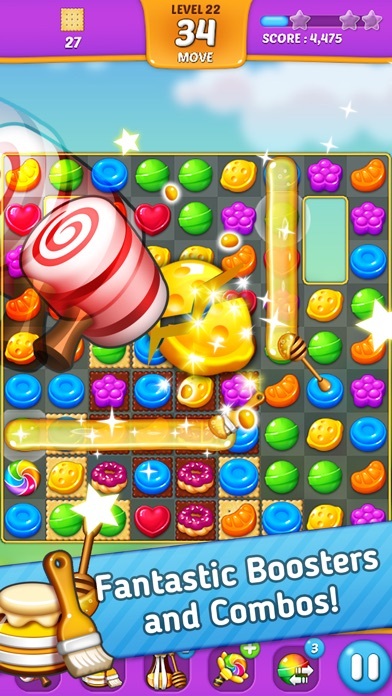 Play the sweetest match-3 game & enjoy the full-of fun hours in candy world. This is a new Match-3 puzzle game created by BitMango. Lollipop: Sweet Taste Match3 is a very sweet and tasty match-3 puzzle game, it makes you keep playing for FREE! The KING of BRAIN TEASERS! Do you like crush sweet and delicious candies? Do you like lovely colors? Here comes the perfect game for you, Lollipop: Sweet Taste Match3. 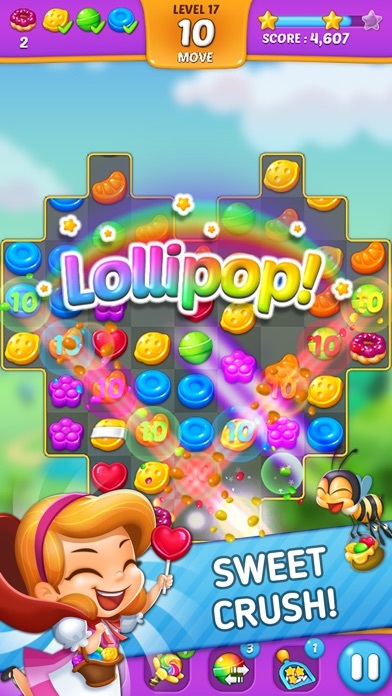 Play Lollipop now, a great match 3 puzzle game with deliciously sweet candy graphics. 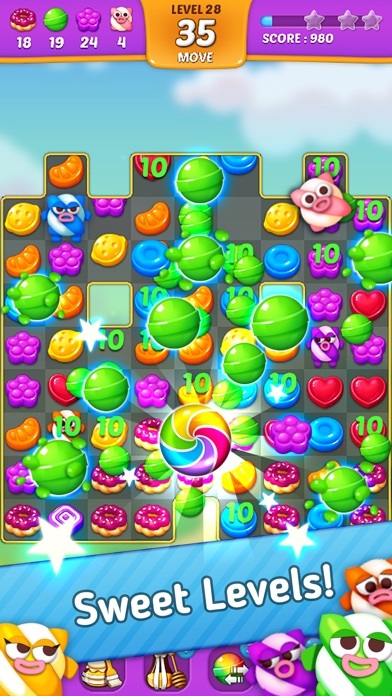 Savor sweet success as you match colorful candies, solve perplexing puzzles! HOW TO PLAY • Swap and Match 3 or more candies of the same! • Complete the level! • Remove the candies as much as you can! • To get a special candy! • Powerful boosts help to clear obstacles! • Achieve 3 stars to get more coins! • Get high score with boosters! 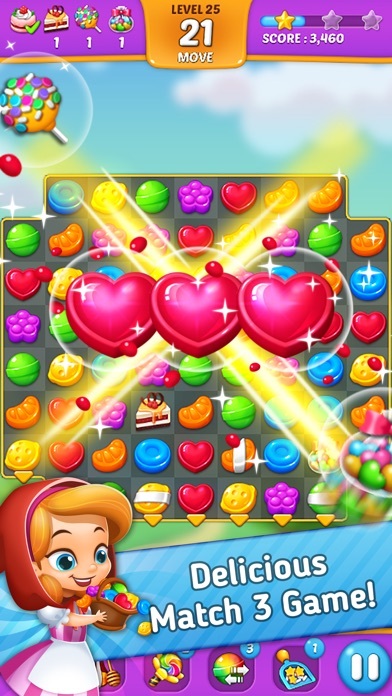 FEATURES • 3 MATCH PUZZLE - Savor sweet success as you match colorful candies, solve perplexing puzzles. • TONS OF UNIQUE LEVELS - Over 300 awesome levels! Updates will be continued! • EASY AND FUN PLAY - Easy to play interface, Just swap & match. - With the colorful and powerful items, you can get rid of all obstacles. • NO TIME LIMIT - Play at your own pace. • NO WIFI? NO PROBLEM! - Games you can play offline. NOTES • Lollipop: Sweet Taste Match3 contains the ads like banner, interstitial, video and house ads. 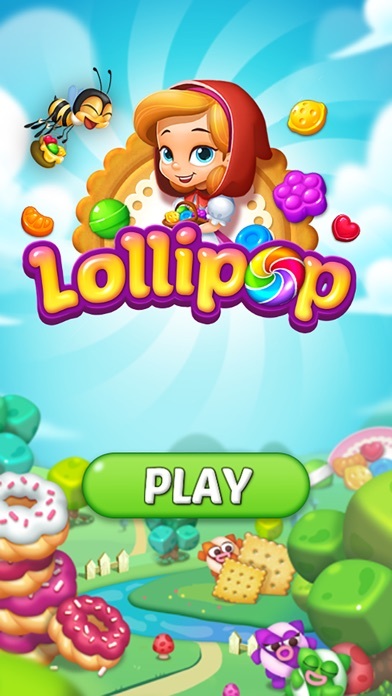 • Lollipop: Sweet Taste Match3 is free to play, but you can purchase In-app items like AD FREE and Coins SUPPORT UNIVERSAL APP • Enjoy the game with various devices. (iPhone and iPad) E-MAIL • help@bitmango.com HOMEPAGE • http://www.bitmango.com/ Like us on FACEBOOK • https://www.facebook.com/BitMangoGames Have fun playing Lollipop! Hello I really like playing the game but it seems that I have run out of levels! Will you be adding more or shall I delete the game. Thank you for your response. Great to pass the time! The game is colorful and lots of fun to play! I love the game and I love that you don’t have to wait on more lives play over and over again. Great to get away from the pressures of the day. I love it play it everyday.